England made light work of a favourable draw in the UEFA qualifying section, emerging unbeaten at the top of a Group F that included Slovakia, Scotland, Slovenia, Lithuania and Malta by a convincing eight-point margin. Scoring 18 goals and conceding three, the only points dropped by Southgate's men came in draws away from home against Slovakia and Scotland. Harry Kane netted five times to lead the team in front of goal, but the gulf in class between the group winners and the chasing pack was underlined by the fact that 11 other players also scored during the campaign. No longer weighed down by the need to configure their attack around a faded Wayne Rooney, England have all the tools to be one of the fastest and most athletic teams at the World Cup. This is a young, dynamic squad with searing pace on the flanks and plenty of lung power in midfield, even with the sad and untimely loss of Alex Oxlade-Chamberlain to injury. If they make it to the knockout stage and face teams who look to dominate possession, Raheem Sterling, Jamie Vardy and Marcus Rashford could be devastating in transition, while Danny Rose, Ryan Bertrand, Kyle Walker and Kieran Trippier can provide further thrust from defence. It's hard to single out one of many. England's modern history of tournament failure becomes a psychological millstone when pressure hits, while penalty shootouts against just about anyone remain a dreaded prospect. There are plenty of flaws in this squad, too. Few of the likely centre-back starters are playing regularly for their clubs at present, while none of England's central midfielders have the technical quality or tactical intelligence to control matches at the highest level. More ominous than anything else, though, is the sense that England still don't know what kind of team they want to be, and time is running out for Southgate to establish a coherent identity ahead of the World Cup. Harry Kane has a compelling claim to be considered the world's best striker and the deadliest finisher England have taken to a major tournament since Michael Owen in 2002. He is more than that, though: an all-round front-man with the intelligence to provide a reference point for an entire attack and make his teammates better. There are shades of both Alan Shearer and Teddy Sheringham in Kane's game and if he hits form, the Tottenham star can make England a threat to anyone. It would not be a surprise if Southgate names Kane his captain ahead of the tournament, although a repeat of Roy Hodgson's bizarre corner-taker experiment at Euro 2016 is best avoided. 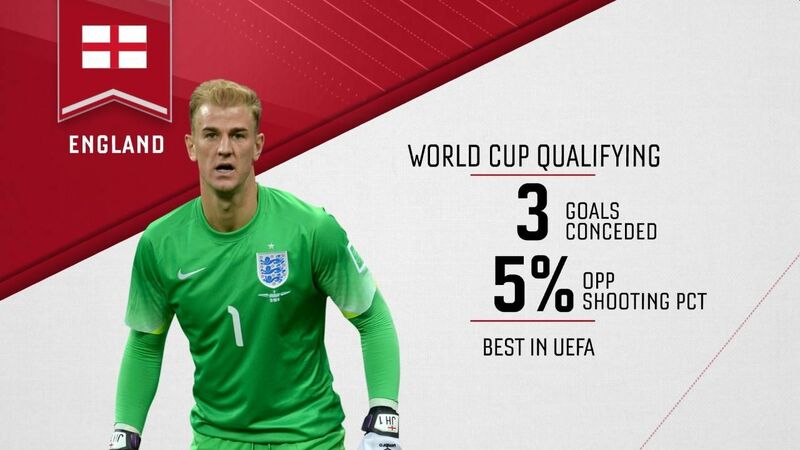 England will go as far as Kane's goals can take them, and so much will depend on what he has left in the tank after a long and arduous season. Belgium are the strongest team on paper in Group G, but England should secure the runners-up slot with victories over Tunisia and Panama. That would set up a round-of-16 clash with the winner of Group H, most likely to be Colombia. Jose Pekerman's team are talented but beatable, and while any contest would be tight, Southgate can be optimistic of advancing as long as penalties are avoided. The benchmark of success should be reaching the quarterfinals, where familiar foes Germany will almost certainly be waiting to end their campaign.